Top 5 Reasons to BUY or NOT buy the ASUS ZenBook Flip 14 UX461! LaptopMedia.comHighlightsTop 5 Reasons to BUY or NOT buy the ASUS ZenBook Flip 14 UX461! The Flip 14 (UX461UN-PRO) is a worthy member of the well-known ZenBook’s lineup by ASUS and it also adds a few premium features that are new to the series. If this bad boy, suitable not only for everyday business and multimedia purposes but also light gaming, sparks your interest, then keep reading to find out its top 5 pros and cons. The notebook stands out with an almost flawless design. The stable all-aluminum construction has no inconsistencies – even the lid is resistant to torsion and bending. This also applies to the interior where you will barely notice any flexing. In addition, the device is quite portable – all the hardware is packed in a 1.5 kg shell featuring a 13.9 mm thin profile. 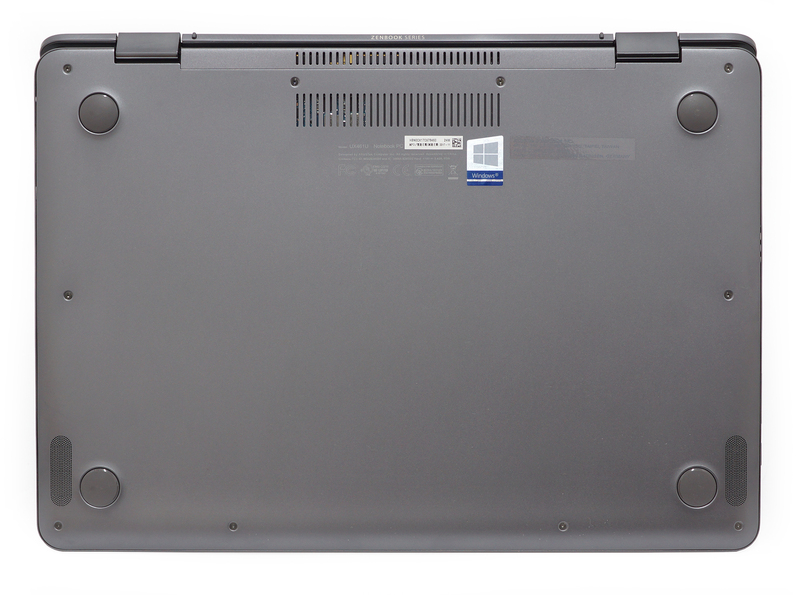 Furthermore, the thin side and upper bezels give the laptop a premium look, while the concentric brushed aluminum seems to be resistant to fingerprints. Even though the all-aluminum construction features impressively small dimensions, it doesn’t hinder the performance of the CPU and GPU. The configuration we reviewed packs the latest 8th gen Intel Core i7-8550U processor paired with an NVIDIA GeForce MX150 (2GB GDDR5) graphics card ensuring optimal performance in short workloads and everyday use. When it comes to the display quality, the laptop offers punchy and vibrant images thanks to the 90% sRGB coverage and high contrast ratio – 1050:1. We also recommend installing our custom profiles that further improve the color accuracy. As it is characteristic of the ZenBook lineup, the Flip 14 scores impressive runtimes mainly thanks to the 57Wh battery unit and the energy-efficient Core i7-8550U processor. With 833 minutes of web browsing, we are pleased to confirm that this is one of the most enduring 14-inch ultrabooks we’ve tested so far. Probably the main disadvantage of the notebook is that its display uses aggressive low-frequency PWM from 0 to 99% brightness. Therefore, we highly recommend using the device only at maximum brightness or installing our Health-Guard profile. One worthy competitor to the impressive convertible is Lenovo’s Yoga 720 (13-inch) and if the 360-degree hinge is not of such high importance to you, we also suggest checking the standard ZenBook UX430 or Lenovo’s Ideapad 720s. 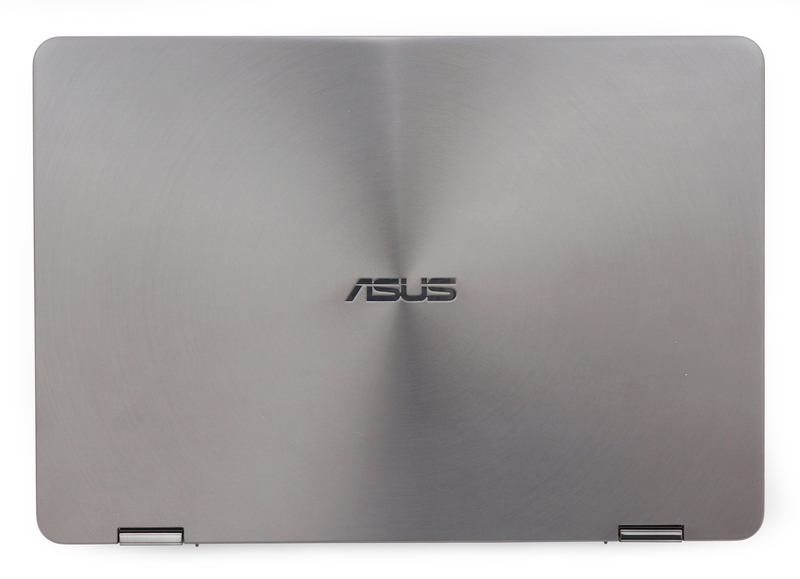 Follow this link to read the in-depth review of the ASUS ZenBook Flip 14 (UX461UN-PRO).